Cushing’s syndrome is a rare condition that is the result of the body producing too much of the hormone cortisol by itself. Some patients have the illness because the adrenal glands have a tumor making too much of the hormone. 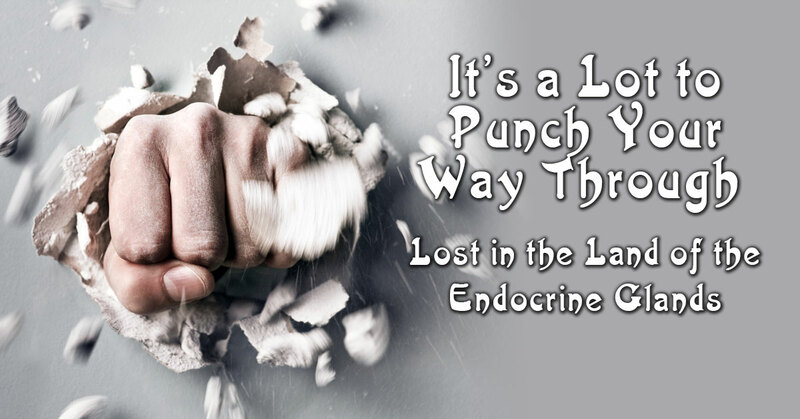 Other patients have it because they make too much of the hormone ACTH. Cushing’s syndrome is fairly rare. It is more often found in women than in men, and often occurs between the ages of 20 and 40. Well, that’s Cushing disease. Another little known endocrine gland disease is call Addison’s disease. Addison’s disease is a disorder that occurs when your body produces insufficient amounts of cortisol and often insufficient levels of aldosterone as well. Also called adrenal insufficiency, Addison’s disease occurs in all age groups and affects both sexes. Addison’s disease can be life-threatening. Addison’s disease symptoms usually develop slowly, so you might not even realize anything is wrong. It’s pretty easy to confuse endocrine diseases and disorders with other disorders and health issues, because many seems the same. So many people see a lot of doctors before finally receiving a proper diagnosis. They feel frustrated on top of not feeling well, all because they don’t actually know where they should go. Seeing a hormone specialist is a good place to start, and Dr. Stephen A. Goldstein MD, F.A.C.S. at Denver Hormone Health is one of the best in the area. If it has to do with the endocrine system and hormones, he’s on top of it. He has had years of experience and expertise in treating patients in the same predicament as you. You might not know where to start in explaining what you’re experience because it can be so complicated, but Dr. Goldstein understands, and he’s there for you in every way possible. With simple tests, he can pinpoint any imbalances that are making you feel out of it all over. Then he creates a totally unique treatment plan just for you. No one-size-fits-all, ever. So, call to make an appointment now. Replace feeling frustrated with feeling your best.